Snow is an important part of our everyday lives even when we can’t see it. It provides us with drinking water, creates habitat for animals, and directly influences our climate. Where and when we find snow is changing rapidly in response to climate change, threatening sensitive Earth systems. 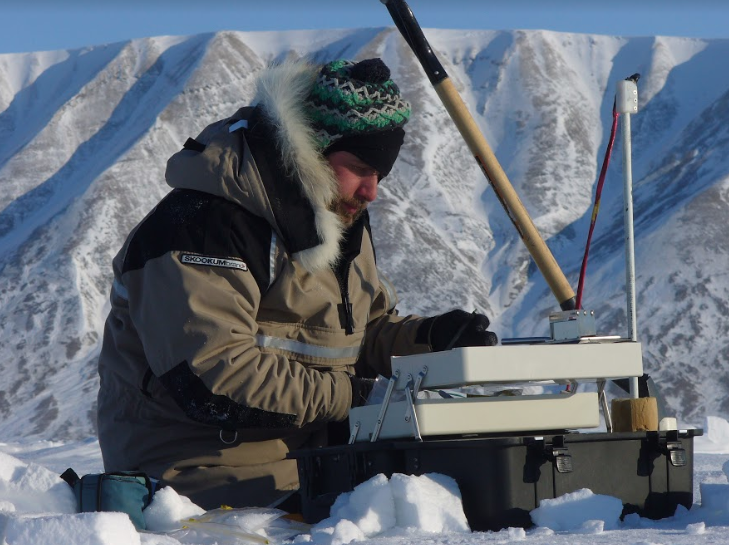 Josh is a Research Scientist at Environment and Climate Change Canada who studies changes in snow in the Canadian Arctic and around the world. Using planes, satellites, and even Twitter, Josh is developing new methods to measure how much water is stored in snow to better understand its importance. He has recently returned from a field campaign in the North West Territories where a satellite mission concept for snow was tested. Josh might be one of the few people you meet who loves shoveling his driveway in winter.